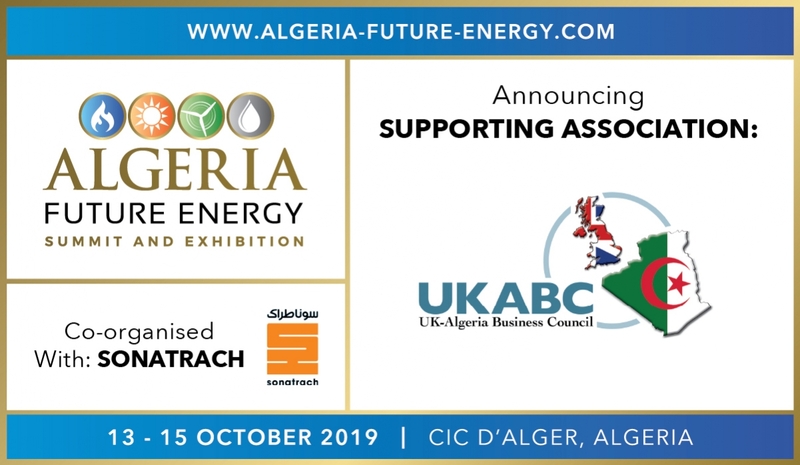 UK-Algeria Business Council is delighted to announce that we are supporting the Algeria Future Energy Summit & Exhibition 2019, co-organised with SONATRACH, taking place on 13-15 October 2019 in Algiers’s International Centre of Conferences. Algeria Future Energy 2019 is the official oil and gas event in the Algerian Energy calendar, hosting a strategic summit and international exhibition. The prestigious event is gathering Algerian’s government officials as well as international senior leaders and decision makers from the Energy industry to discuss around the theme ‘Operational Excellent: A Strategic Requirement’. Interested in getting involved in this unmissable event? We are delighted to announce that UKABC is supporting the CWC Algeria Future Energy Summit, officially held under the patronage of the Ministry of Energy, fully supported by SONATRACH and with the participation of Sonelgaz, taking place on 29-30 October 2018 in Algiers’s International Center of Conferences. Algeria Future Energy Summit will gather Algeria’s senior leaders and decision makers and will focus on Diversification, Innovation and Investment along the energy value chain, which are all pivotal area for this year of transformation. 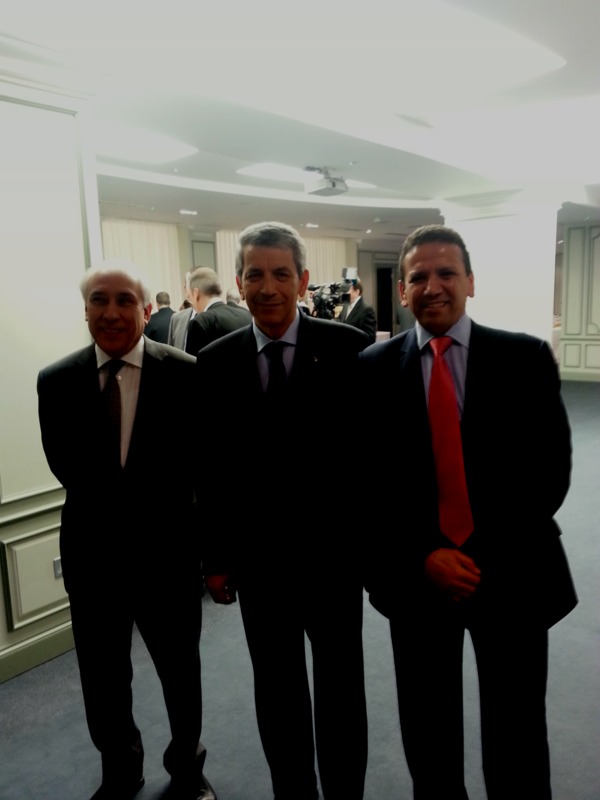 The Trade Mission program will be focused on sector-specific meetings based upon the composition of the Mission Delegates arranged by UKABC and the Algerian Embassy in London. Meetings include private and public sectors. 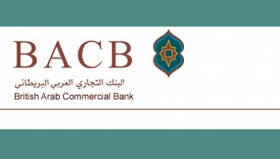 The UKABC will deliver an insight into the business environment on the ground and provide unique networking opportunities on our high-level Mission. 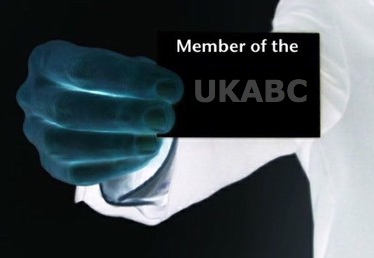 UKABC members and non-members are encouraged to join the mission to explore the variety of opportunities and business partnerships. Welcome to Algeria Lab 2018, the Middle East’s largest medical laboratory solutions, products and technologies in Algeria on 3-6 October 2018 at Palais des Exposition, SAFEX, Algiers, Algeria. Algeria Lab is the largest event for medical laboratory solutions, products and technologies in Algeria under the patronage of the Ministry of Population and Hospital Reform. Algeria Lab attracts decision makers, distributors and industry professionals from Algeria and the entire Maghreb region to come together and do business. Alongside the exhibition, there will be conference and free-to-attend workshops which offer attendees and opportunities to learn from industry experts for 4 days. Alongside with Algeria Lab, there will be a co-located event called Algeria Health – the largest healthcare international event in Algeria. Welcome to Algeria Health, the largest healthcare event in Algeria on 3rd-6th October 2018 at the Palais des Expositions, Safex, Algiers, Algeria. 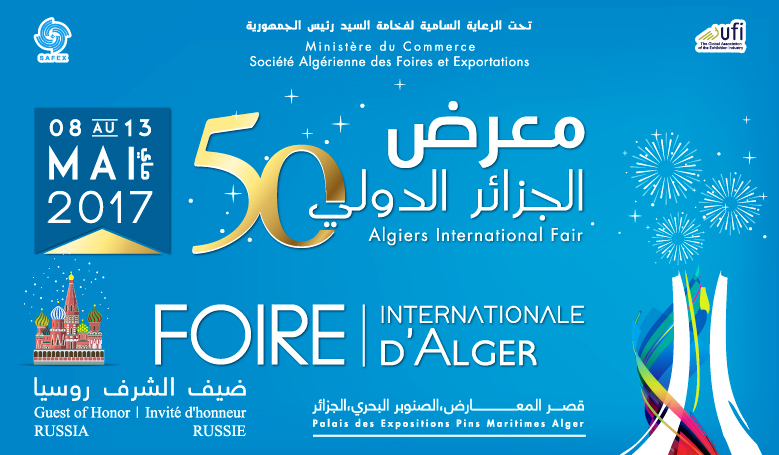 Algeria Health is a premier event for local and international manufacturers, suppliers, distributors and service providers in the healthcare industry. Alongside will be conferences focusing on Healthcare Management and Hospital Build aiming to bring industry leaders and experts together. This will be running alongside Algeria Lab 2018 – 2nd Edition, the largest international event for medical laboratory solutions, product and technologies in Algeria under the patronage of Ministry of Population and Hospital Reform. Algeria Pharmaceutical and healthcare markets are currently valued at US$ 15.31 billion and will continue to expand due to policy priorities as well as growing demand for medical care. For companies looking to be part of the billion dollar market meet new or existing customers, showcase your products and services or re-affirm your position as an industry leader, Algeria Health is the platform for you. 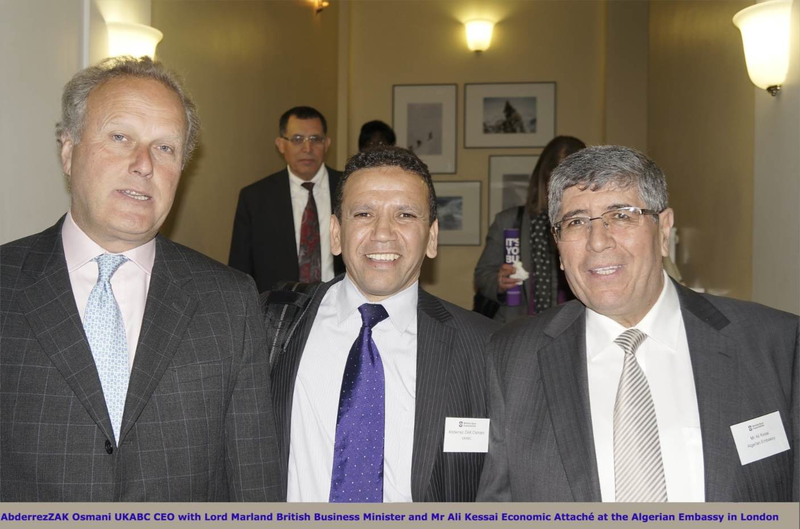 UK Algeria Business Council has the pleasure to announce its next Trade Mission to the UK focused on Agriculture, October 2017. 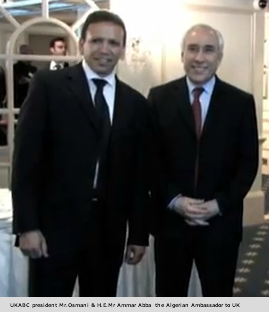 Algeria Agriculture sector is one of the most important sectors in the country. The Algerian government is looking to develop the Agriculture sector by exploring the technologies and the know how available in the developed world. The Mission will be a great opportunity for the participants and delegates to understand better and seize the available partnership opportunities in the UK and network with their British counterparts including policy makers and discuss common interests and exchange views and experiences. 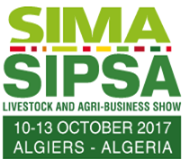 UKABC is very pleased to announce its partnership with SIPSA-SIMA to organise the LIVESTOCK AND AGRI-BUSINESS SHOW 2017 in Algiers. Over 600 International and local companies participate in the Business Show exhibiting livestock and agricultural products and equipment’s to meet local needs including; tilling and harvesting equipment, plant treatment and pest control products, irrigation and storage systems, livestock equipment, spare parts, new technologies and aquaculture and fishery resources. The Business show gives over 20,000 visitors from 45 countries the opportunity to discover a complete range of livestock and agricultural products and equipment presenting full solutions tailored to meet all needs. UKABC is very pleased to announce its partnership with ATEX to organise the Africa Build. Africa Build is the North Africa's premiere event for local and international manufacturers, suppliers, distributors and service providers in the building industry. A new five-year investment plan for the period 2015-2019 worth US$258.48 billion was approved by the government in late 2014 to build upon the achievements of the previous plans. 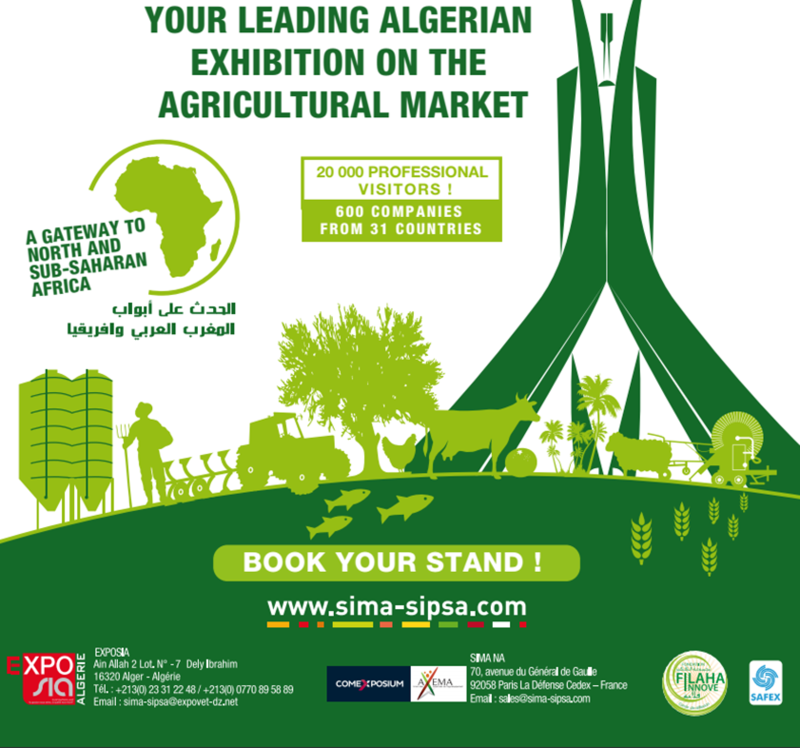 For companies looking to be part of the billion dollar market, meet new or existing customers, showcase your products and services or re-affirm your position as an industry leader, Algeria Build Exhibition & Conference is the platform for you. Welcome to Algeria Health, the largest healthcare event in Algeria on 4th-7th December 2017 at the Palais des expositions, Safex, Algiers, Algeria. UKABC is very pleased to announce its collaboration with Agence Nationale de Promotion du Commerce Extérieur(ALGEX), to organise a morning event at ALGEX's offices in Algiers.Route Nationale n°5, Mohammadia, Algeria. 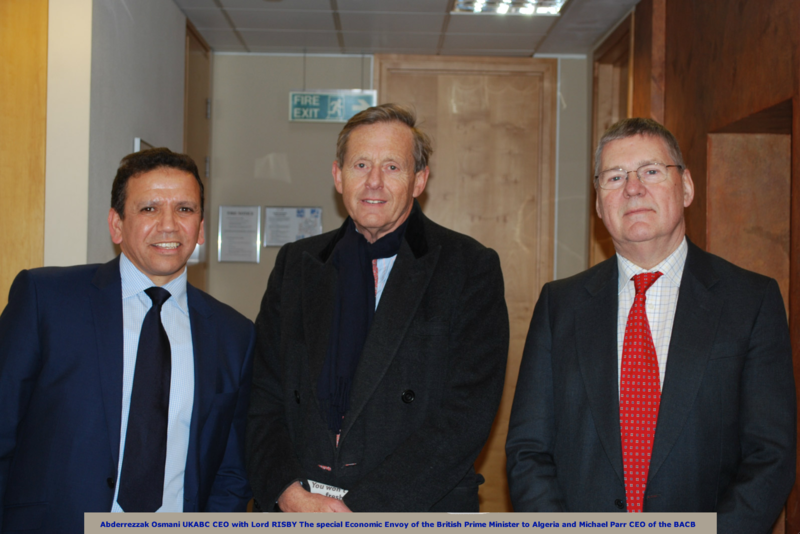 The event will discuss trade cooperation between Algeria and the UK and opportunities Brexit presents to the Algerian exporters to explore the UK market and partnership with UK based companies. UKABC is very happy to partner with NAPEC for the 7th North African Oil and Gas Conferences and Exhibition. This event is the largest international Oil & Gas trade Show in Africa, dedicated to the Upstream, Midstream and Downstream activities and also to the products and services suppliers related to the Oil & Gas industry in the North African Region. Since its inception in 2011, NAPEC has cemented its position as one of the main platforms for oil and gas professionals representing ICOs-NOCs who are looking for a win-win partnership, as well as networking opportunity with industry peers and decision makers.ICOs-NOCs who are looking for a win-win partnership, as well as networking opportunity with industry peers and decision makers. including producers and technology and service providers in the region. UKABC and EASYFAIRS are proud to announce the launch of MEDEX Algeria 2017 – 1st International Exhibition for Medical Equipment, Hospital Infrastructures and Emergency (2-4 March 2017) at Hilton Hotel (Exhibition Hall) in Algiers, Algeria. This is a great opportunity to introduce your products and services to a very dynamic market in North Africa in the healthcare industry including infrastructure investments opportunities. UKABC is very happy to Partner with Euroconvention Global, the host of the of the Algeria Renewable Energy & Power Infrastructure Investment Conference 2017 taking place in Algiers on March 1. The event is hosted by Euroconvention Global, co-hosted with the International Finance Corporation (IFC) as Institutional Partner. This one-day networking and informative conference will be attended by government officials and agencies, International Finance Institutions, international and local developers, EPC contractors, independent power producers, engineering services, manufacturers, legal and advisory services, banking and private equity entities. 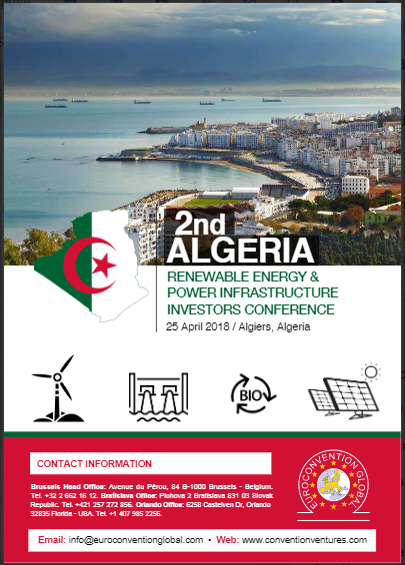 This important event is the opportunity to have an up-to-date and future information about renewable energy projects in Algeria, with solar photovoltaic, solar CSP and wind developments at centre focus. Do not miss this very important event, make sure to register without delay as seats are allocated on a first come first served basis. The detailed agenda and the registration form will be shared with you upon your inquiry. 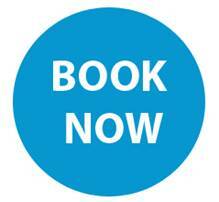 An ‘early bird’ discount and a multi-booking discount in case of registration of two or more delegates from the same company are currently applied. Registrations are open and kindly note that companies registering as referred by the UKABC will receive a 20% discount on registration and corporate packages. 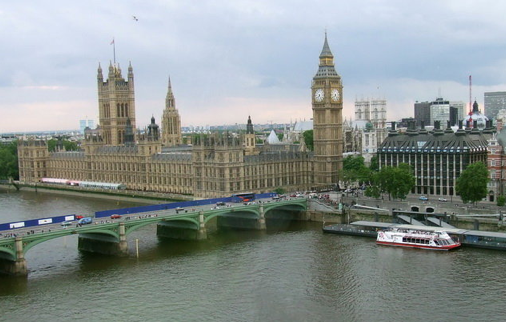 The Trade Mission program will be focused on sector specific meetings based upon the composition of the Mission Delegates arranged by UKABC and the Algerian Embassy in London. Meetings include private and public sectors. NAPEC is the largest international Oil & Gas trade Show in Africa, dedicated to the Upstream, Midstream and Downstream activities and also to the products and services suppliers related to the Oil & Gas Business in North African Region. An important meeting to explore investment opportunities, business and development relationship with the National and International Oil Companies. The goal is to make this show a comprehensive showcase of various technologies to meet the needs of oil & gas operators. The event attracts thousands of professionals who attend to discover the futures technologies and services for their companies. A meeting between 0il & Gas keys decision makers and their suppliers, combined with Conferences which will discuss up to date topics, under the animation of national and international experts. The UKABC is very pleased to partner and endorse the International Exhibition for professionals by professionals taking place in the west of Algeria, Oran from 7th to the 10th February 2016 at the convention centre Mohamed Ben-Ahmed. The Exhibition brings together the innovations and developments to come from the manufacturing, technology sectors under one roof. MARCOM plus Agency is organising the first edition of SALON Pro in Algeria 2016: SALON DE LA FABRICATION ET DU SAVOIR –FAIR. Farming is a key industry in Algeria, where a big per cent of the workforce is reliant on the agricultural sector. 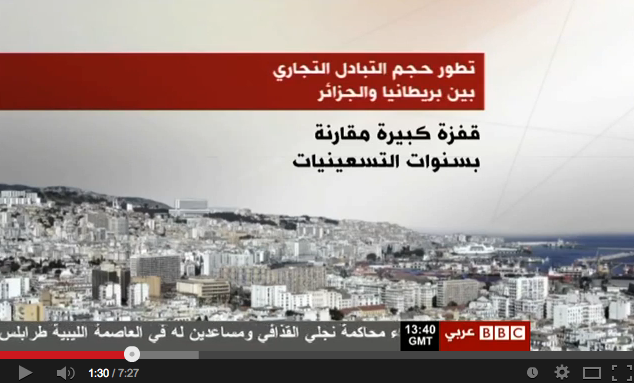 Algeria is the biggest country in Africa with big potential in the Agriculture sector. 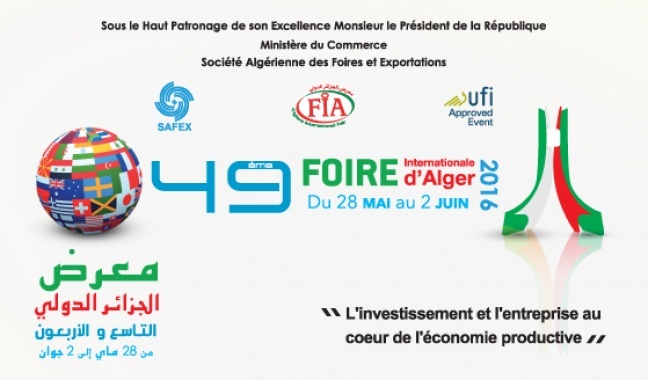 There are a huge opportunities for Trade and Investments in Algeria in the industry .The Algerian government gave clear indications and welcomes the foreign investors in the sector to the country to work closely with private and public sectors. 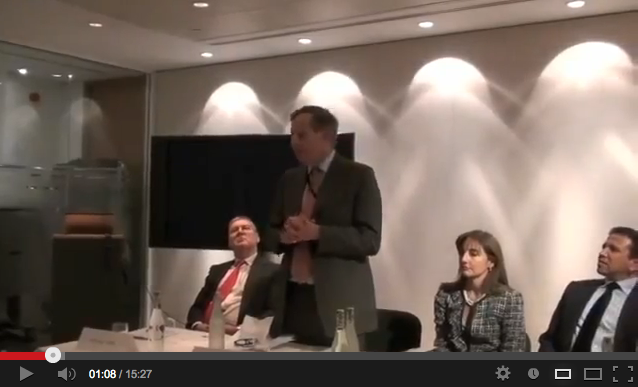 Great incentives given to investors from land, to tax relief, and bank loans. 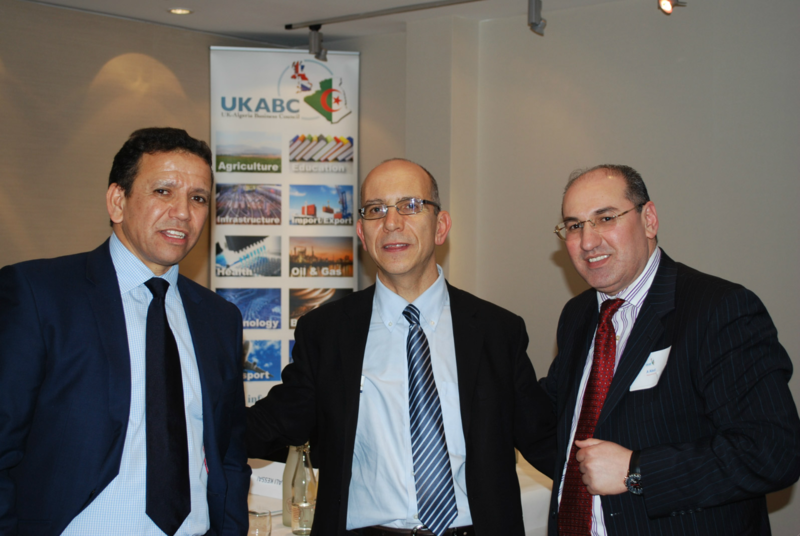 contact UKABC on info@uk-algeria.org with your contact details. UKABC has the pleasure to Partner with Petroleum Industry Communication to launch The BIGGEST OIL & GAS EXHIBITION IN AFRICA From 03-06 Mars 2015 in Algiers. 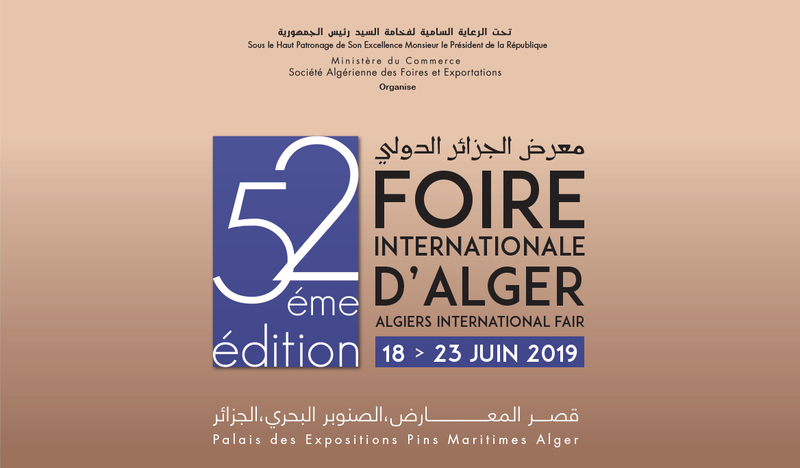 An international Exhibition & Conferences dedicated to the Operators and products and services suppliers related to the Oil and Gas industry in Algeria. An important meeting to explore investment opportunities, business development and increase links between the operators of this sector. The goal is to make this show a comprehensive showcase of various products and services to meet the needs of Oil & Gas operators, Petroleum Industry. The Expo is a meeting between Oil & Gas key decision makers and their suppliers, combined with Conferences which will discuss up to date topics, under the animation of national and international experts. UKABC will lead a Trade Mission focused on Oil & Gas during this very important event. 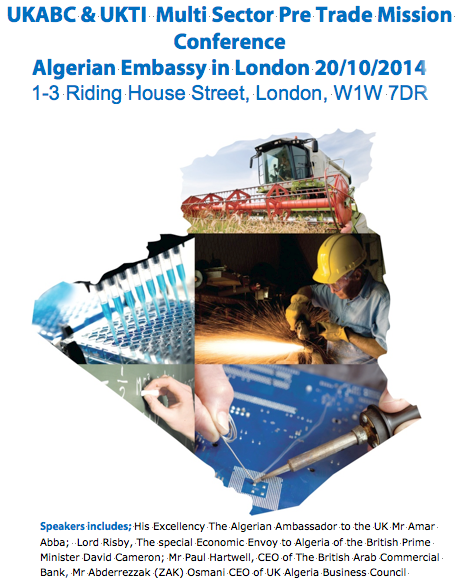 The UK-Algeria Business Council and UK Trade & Investments are pleased to announce the upcoming multi-sector Trade Mission to Algeria, 30th November-3rd December 2014 . Finance, Ministry of Transport, Ministry of Agriculture, Ministry of Industry, Ministry of Environment, Ministry of Public Works Ministry of Energy (Sonatrach, Sonelgaz), Ministry of Education, Ministry of Tourism, Ministry of Post and Communication and Information Technologies, KPMG Cevital, Hadad Group, Arcofina, Dow, Petrofac and more. The UKABC will deliver an insight into the business environment on the ground and provide unique networking opportunities on our high-level Mission. UKABC members and non-members are encouraged to join the mission to explore the variety business partnerships. 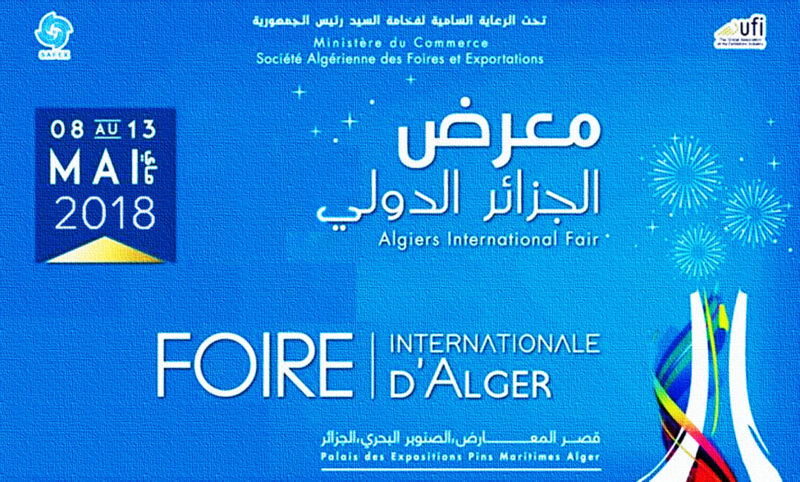 Algeria is a booming market and the Mission will be a great opportunity for the participants and delegates to understand better and seize the available business opportunities in Algeria and to network with their Algerian counterparts including policy makers and discuss common interests and exchange views and experiences. 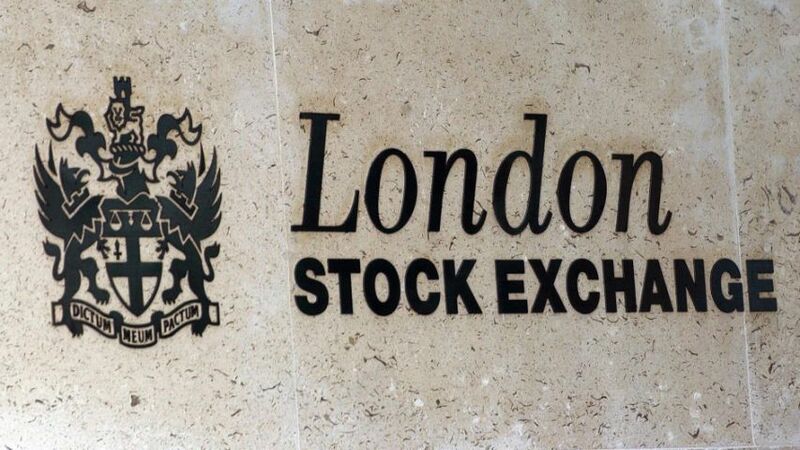 This very important event is supported by UK Algeria Business Council, the UKTI, the British Embassy in Algiers and the Algerian Embassy in London, The Arab British Chamber of Commerce, KPMG and more. 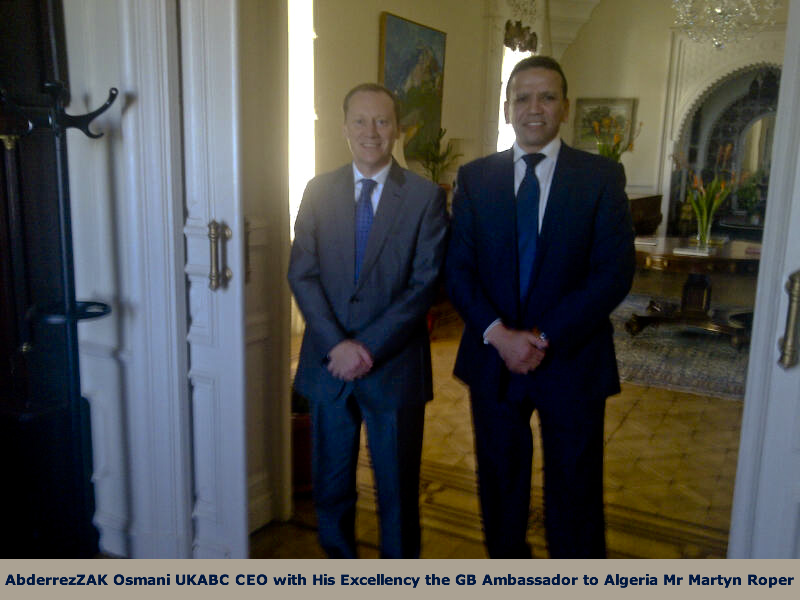 The UK-Algeria Business has the pleasure to announce its next multi-sector Trade Mission to Algeria, from 15-19 March 2014.